My kids love to make homemade valentines to for their classes each year. The key for us to to keep the valentines simple enough that they don’t want to stop before they have enough for all of their friends. 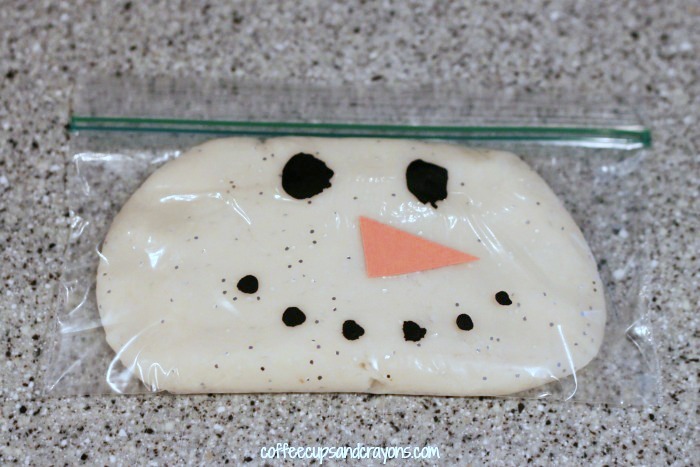 One super easy idea is to use our white play dough recipe to make homemade snowman valentines! DIY snowman valentines are so easy and there is really no wrong way to do it! 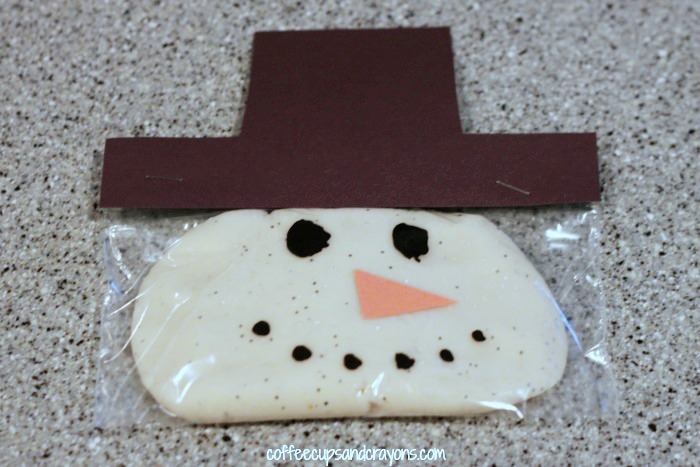 Basically you need to decorate the snack bags to look like a snowman’s face, add your play dough and staple the hat to the top. We used two different size brushes to dot the paint on the bag for the eyes and mouth. They were out of orange foam at the craft store so I used construction paper for the nose. Either one would look cute! Then we made a bunch of snowballs from the play dough and squished them flat inside the bag for the snowman’s face. Then cut out and staple a hat to the top and you have a snowman! Use a silver metallic to write a note for your friends. We liked I’m “snow” glad we’re friends!, but write whatever snow message you like best! 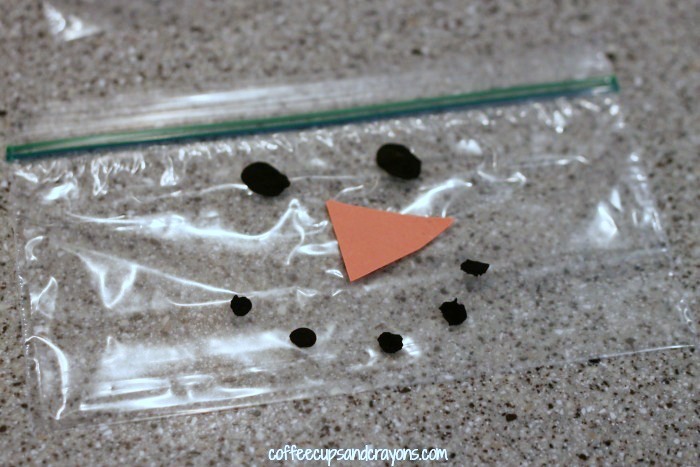 Do you and your kids make valentines for their classmates and friends? I can’t wait to see what types of fun Valentine’s Day activities everyone shares this month! Share with your friends on Pinterest, Facebook, and Twitter! Join the 100 Acts of Kindness Challenge! 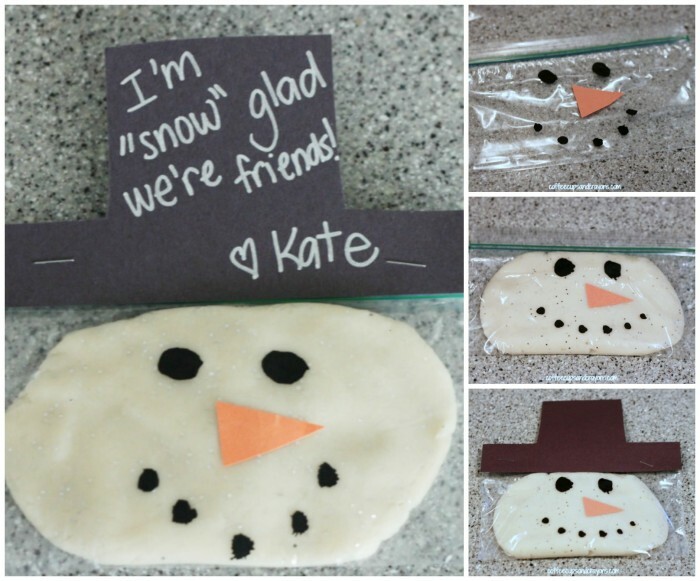 I LOVE these snowman valentines how creative and cute! I LOVE THIS PUN FOR SOME REASON! 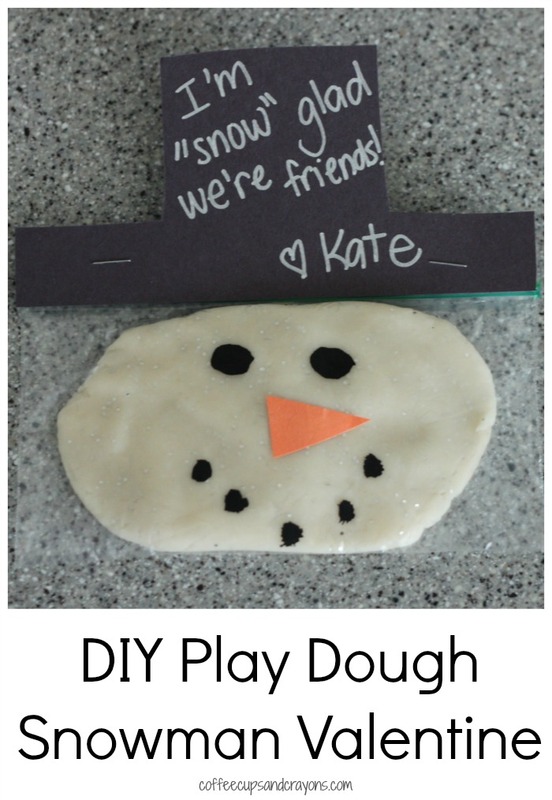 I LOVE THE IDEA OF WHITE PLAY DOUGH AS A VALENTINE! THANKS FOR SHARING AT AFTER SCHOOL!